We are totally in love with the cool Apartment Therapy blog. It features interior ideas and solutions from real homes across America and is full of inspirational tips for happy homes. We all love to have a sneak peek around other people's abode's - and now you can do it from the comfort of your own! 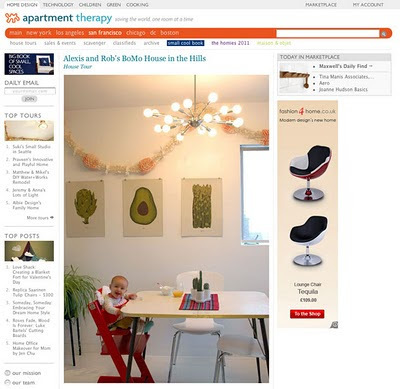 Pop over to Apartment Therapy to see inside Alexis and Rob's house in the Hills, you may spot a few Stokke® pieces too. Have you spotted a Stokke® product in a feature or review? If you have please leave a comment with the url or get in touch by email. Thank you to Alexis for giving permission to feature her home and her images.